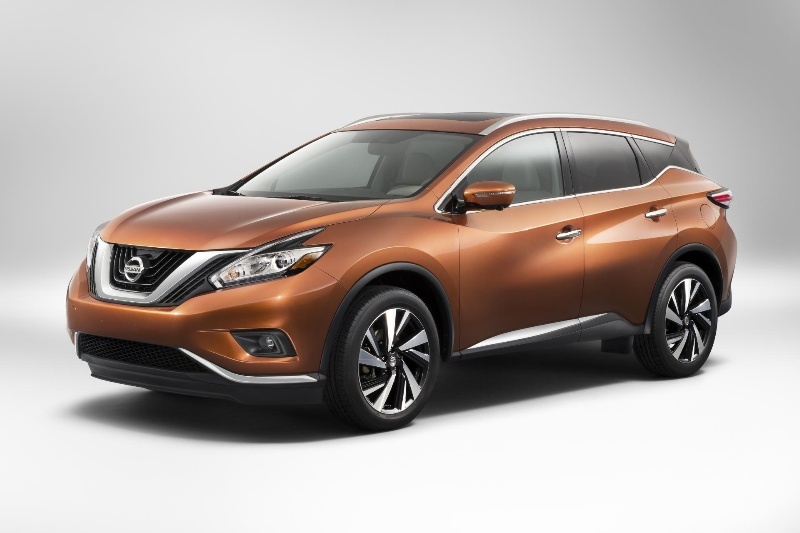 The third-generation Nissan Murano will make its public debut at the New York motor show. The new model, which borrows heavily from the Resonance concept, will go on sale internationally later this year. Key elements of the design, which Nissan calls “V-motion”, are the LED boomerang lights, floating roof and sculpted surfaces. The interior is just as modern and features a wide center console and panoramic moonroof. The 2015 Murano will be powered by a 3.5-litre DOHC V6 engine that produces 194 kW of power and 325 Nm of torque, while mated to an Xtronic transmission. All-wheel drive is available as an option. Dubbed Zero Gravity, they use space agency research to support the driver and passengers in more ergonomically-comfortable ways, supposedly making for a better experience on roadtrips. Other interior features include NissanConnect, for hooking up to smartphone apps, along with an 8-inch center console multitouch display, Bose audio system with 11 speakrrs, and Bluetooth streaming. Safety kit will include blind-spot and moving object detection, emergency braking and collision spotting for perils ahead, and a new Cross Traffic Alert that uses radar to spot moving vehicles behind the Murano while you’re parking.